New Delhi: Robert Vadra, who is the husband of Congress general secretary now in charge of eastern Uttar Pradesh Priyanka Gandhi, has sought an anticipatory bail in connection with a money-laundering case lodged by the Enforcement Directorate (ED), media reports said. The case is related to an alleged money-laundering by Vadra in a purchase of 1.9 million pounds property in London. 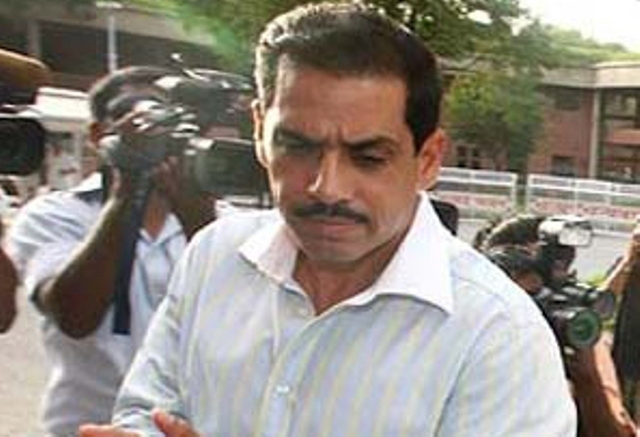 Vadra, brother-in-law of Congress president Rahul Gandhi, moved the anticipatory bail plea in Delhi court on Friday. The case will be heard on Saturday. Earlier, Vadra’s close aide and other accused in the case, Manoj Arora, was granted an anticipatory bail. Sources told The Times of India that Vadra stated all his firms and representatives had cooperated with the investigating officials. Sources also told the same media outlet that Vadra was earlier examined by the ED in Rajasthan in connection with the London money-laundering case. The Enforcement Directorate (ED) in November last year had summoned Vadra in the Bikaner land grab case, which concerns a number of companies associated with Vadra that were allegedly involved in fraudulent land deals. The ED is carrying out the probe based on FIRs filed by Rajasthan police in 2015. Robert Vadra was earlier accused in the DLF land grab scam case related to a 50-acre land grab in 2013 in Amipur village of Haryana during the Congress’ Bhupinder Singh Hooda government. The CBI was investigating Robert Vadra, Hooda and DLF in the case.